18x24 Oil and mixed meida painting on archival Arches oil paper, comes framed and ready to hang or can easily be reframed. Perfect for office, bedroom, or family room. 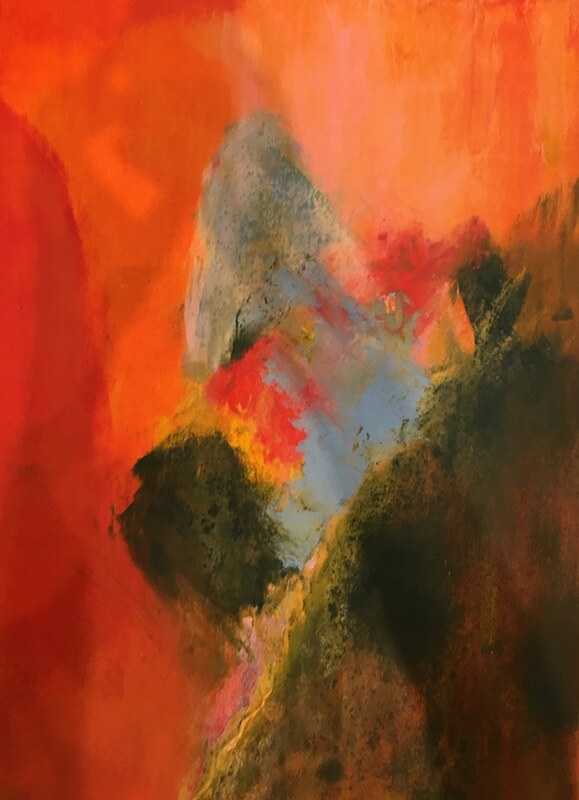 Warm oranges and reds blend nicely in this abstract oil and cold wax painting. The original was created on archival Arches oil paper and the painting developed in a series of layers building upon one another to give this piece surprising depth and complexity. Warm oranges and reds blend nicely in this abstact oil and cold wax painting. The original was created on archival Arches oil paper and the painting developed in a series of layers building upon one another to give this piece surprising depth and complexity.